Earlier today, Nintendo hosted a massive Nintendo Direct livestream for Super Smash Bros Ultimate. Featuring Masahiro Sakurai himself, the Direct showed off everything from new characters to new stages, items, assist trophies and Pokémon. And also, as expected, tons of new modes were shown off there too. These ranged from the traditional Tourney mode to the Squad Strike and Smashdown modes, with all kinds of new features to go around. However, there was still one mode that wasn’t shown off at all. 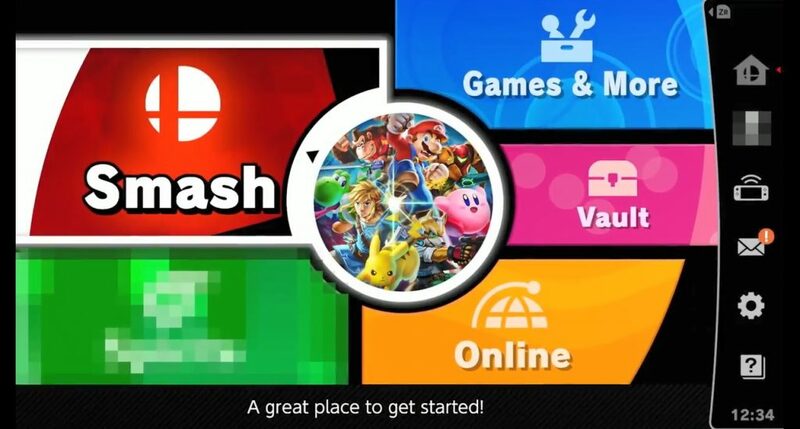 Namely, whatever mode was behind the blurred-out button on the main menu screen. Which is why we believe it leads to an adventure mode. What’s the reasoning there? Well, think about it like this. When has Nintendo ever blurred out modes in a Super Smash Bros video? Pretty much never. They’ve never done this at all so far. Which in turn means it’s very likely that whatever is behind said button is a trailer worthy feature in and of itself. It’s not Classic or All-Star Mode, since those are guaranteed anyway. Its not tournament related, since that was in the Direct trailer. And it’s probably not something minor either. Seriously, would you hide the presence of say, Master/Crazy Orders or Tour and have it as a major announcement? No, of course not. That’d be ridiculous, since very few people care about said modes anyway. Even Smash Run would be more of a neat ‘extra feature for the Direct to show off’ type of deal. Add to this how it’s smack bang on the main menu screen (and not in say, games and more like other minor extras), and it seems like it’s a major feature that Nintendo’s going to be promoting heavily this time around. So only adventure mode really fits that bill. It’s big, its heavily requested, and it’s something Nintendo may want to keep hidden for a future Nintendo Direct or announcement. Obvious really, and we’ll bet anything it’ll be in the new game. But what do you think? Do you agree that adventure mode will be in Super Smash Bros Ultimate? If so, what do you think it’d have this time around? Tell us your thoughts here in the comments or over at the Gaming Latest forums today! Super Smash Bros, Nintendo and E3; Two More Sets of Rumours!